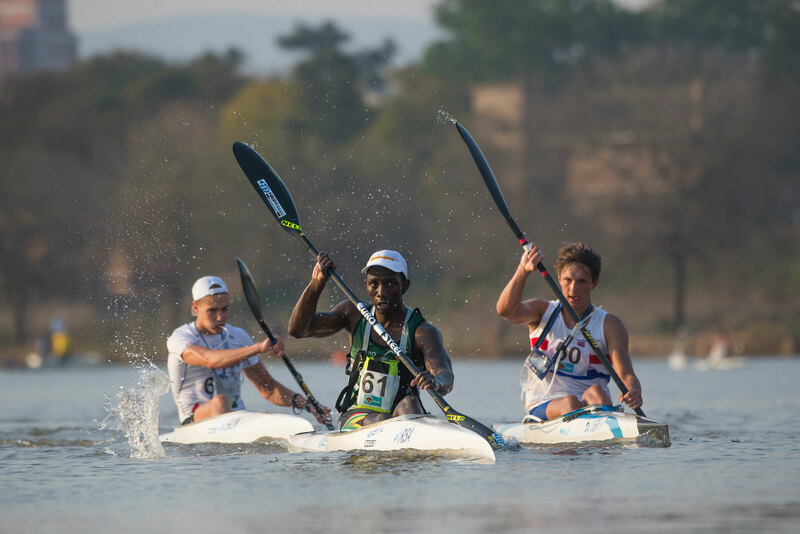 St Francis Bay – The nation’s best flat-water marathon paddlers descend on the Garden Route town of St Francis Bay this weekend for the 2018 South African flatwater canoeing marathon championships, eyeing a spot on the prestigious national team for the World Championships in Portugal in September. The weather for the weekend is worrying for many with a buster wind and cold weather coming through on Friday and Saturday. The conditions will play a significant part in the racing on the first two days of the championships, on a tidal four kilometre lap course using the town’s canals. This week the nation heard the bombshell news that ten-time World Marathon champion and defending K1 and K2 champion Hank McGregor has retired from K1 marathon paddling. McGregor’s absence from the singles showdown will open up one spot on the national team, as only two paddlers can be selected for each age division in the K1 discipline. 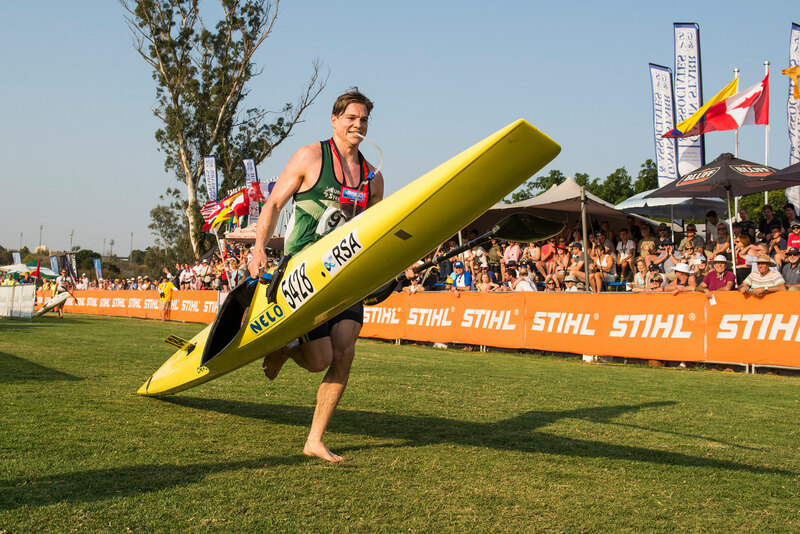 Euro Steel star and 2017 K1 marathon silver medallist Andy Birkett will go into the showdown as the favourite to take the national title which means the exciting race might be for the second spot with a number of paddlers eyeing that coveted spot. Despite a tough field it seems that the front-runners for the second World Championship spot will be Western Cape’s Stuart Maclaren or Jasper Mocké. Mocké paddled in a K1 at the 2014 Marathon Championships in Oklahoma, the venue where he and Hank McGregor won their first of two gold medals in the K2, so he has the experience in racing in a K1 at the highest level. In the men’s K2 race the focus will definitely be on the McGregor/Birkett combination. The best and second best K1 paddlers in the world in a boat together will be a difficult nut to crack for any of the other combinations. In the ladies K1 race there will be a number of paddlers putting their hands up for one of the two spots on the national team. 2017 saw Melanie van Niekerk and Bridgitte Hartley represent South Africa in the K1 ladies race and 2018 will see both return hoping to win one of the two spots on the team. 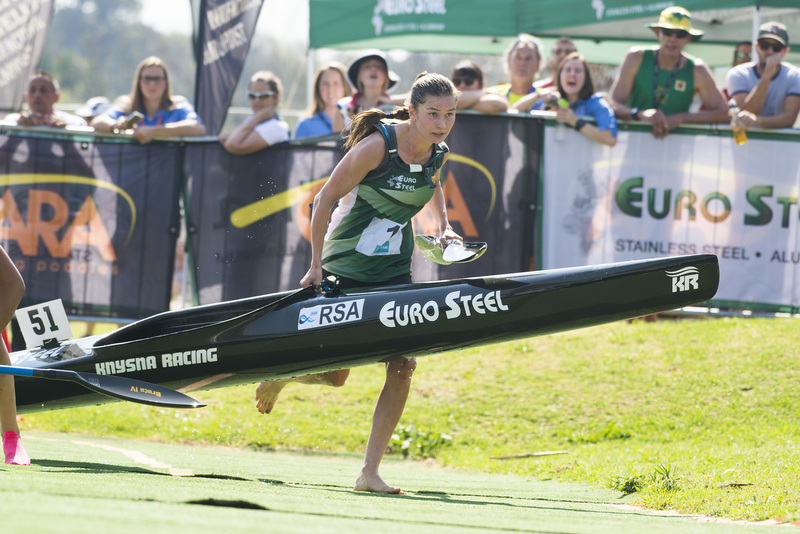 Attempting to push for those spots and upset the status quo would be the likes of former Under 23 medal winner Jenna Ward, current surfski world champion Hayley Nixon and Berg River Canoe Marathon champion Bianca Beavitt. The K2 race will be another exciting race with no clear pre-race favourites. There might be a few surprises when the doubles boats get their national championship underway just before lunch time on Sunday. In the age groups, the under 23 title will see 2017 world championship silver medallist Nick Notten head into the race as the favourite. 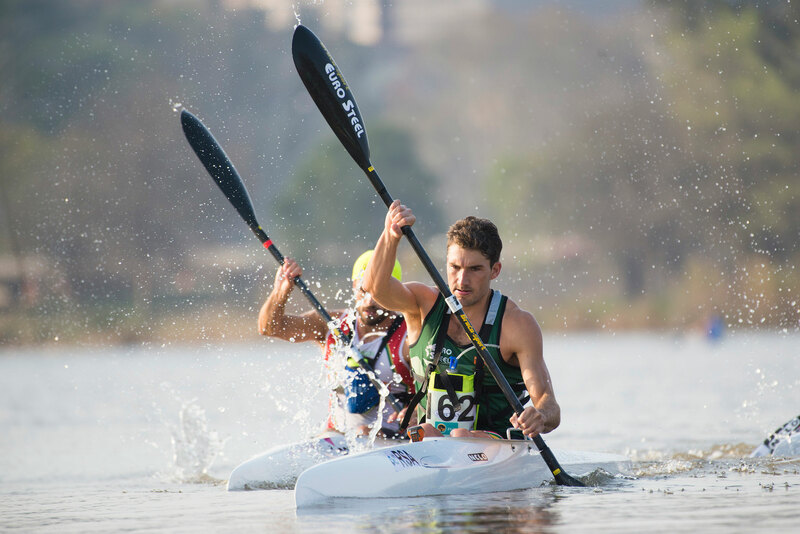 Coming back into competitive paddling after a long lay-off will be Louis Hattingh and he will offer up a significant challenge for Notten. Joining the Under 23 ranks after winning bronze in the junior age group at the World Champs in Pietermaritzburg last year is Alex Masina. Despite his first year in the under 23 age category he will also be vying for one of those two spots. Kenny Rice as well as Hamish Lovemore will also be paddlers to look out for in the Under 23 K1 race. Kyeta Purchase, Christie Mackenzie, Morgan Ziervogel and Sabina Lawrie will be fighting it out for the K1 sports in the Under 23 Women’s race. Mackenzie, who won bronze in the junior girls at world champs in 2017, might hold the edge despite being in her first year of Under 23. There is no Under 23 K2 races so all Under 23’s hoping to race K2’s will have to take part in the senior category. Uli Hart will be heading up the junior boys field this weekend in the Eastern Cape and will have some stiff competition from the likes of Hamish Mackenzie and David Evans. Brendon Delport, Callam Davis and Matthew Fenn will be two other paddlers looking to lay claim to the top two spots and a shot at a world championships in September. Maritzburg College’s Mackenzie and Evans will be the K2 partnership to beat following their silver at the world championships in 2017. Zara Wood, Amy Peckett and Caitlin Mackenzie will be fighting it out for the top spot in the junior girls race.